Duplosan herbicide has received a Special Local Needs (SLN) 24(c) label from the state of Texas for post-harvest cotton stalk destruction to assist boll weevil eradication efforts. Nufarm has partnered with PhytoGen to recommend Duplosan as the preferred herbicide for chemical stalk destruct of PhytoGen Enlist cotton varieties, which are tolerant to 2,4-D choline, glyphosate and glufosinate herbicides. The active ingredient in Duplosan provides excellent control of all cotton types, including 2,4-D- and dicamba-tolerant varieties. Over the last three years, Nufarm’s research and development team has worked with researchers at Texas A&M University’s College of Agriculture and Life Sciences to validate the performance and correct usage of Duplosan. Duplosan will also be featured in the 2018 Enlist Cotton Stalk Destruct Program, offering growers a $2-per-acre reimbursement on each 32-ounce application of Duplosan on PhytoGen Enlist cotton varieties. 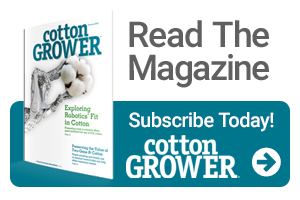 “We are pleased to be able to partner with PhytoGen to make this innovative solution more readily available and affordable for Texas cotton growers,” says Joe Steinlage, customer and brand marketing, Nufarm. “It is great when two companies in the industry work together to bring unique solutions to growers,” he adds. The product is expected to be available to growers by August 1.